WorldSkills Success for WEC Group Apprentices! 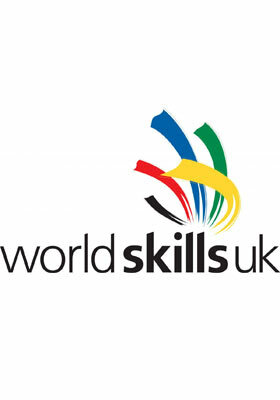 Five of our apprentices have made it through to the National WorldSkills Final! Five of our talented Training Academy apprentices are celebrating after making it through to the national final of the prestigious 2015 WorldSkills UK Construction MetalWork competition. First year apprentice, 17 year-old Harry Chadwick stunned everyone after being announced as the winner of the tough regional heat overall as well as scoring second highest in the country, despite being the youngest and least experienced in the competition. Ryan Smith, Thomas Woodburn, Christopher Taylor and James Ennis also successfully made it through after a gruelling seven hour competition which took place at Burnley College last month. The WorldSkills competition in Construction Metalwork is designed to test entrants' skills to the limit. 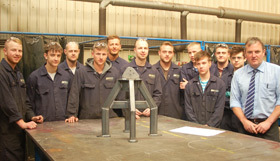 The five welding and fabrication apprentices are part of our award winning WEC Group Training Academy, which is named one of the top three in the UK by the prestigious National Apprenticeship Awards. WEC Group has also been named in 2015's City & Guilds Top 100 Apprenticeship Employer List. WEC Group's recent takeover of Yorkshire-based MTL Advanced has also now seen a significant investment in apprentices at its Rotherham factory. Up to 20 apprentices will be recruited this year across the company with more than £1 million invested in the workforce of the future. The apprentices competed against 90 entrants from around the UK to make it to the final 10, with WEC and East Lancashire contributing 50 per cent of the national finalists. They will now battle it out against each other and six more regional champions at the national finals in Birmingham in November. Glory there will see them represent the UK at the WorldSkills International Final in Abu Dhabi in 2017. Kris Mercer, our Training & Devlopment Manager, said: "We are very proud of all our apprentices' achievement and it's a tribute to the investment by WEC Group and the hard work put in by the lads themselves and the high quality of teaching and training from Themis. "For WEC Group to have contributed half the national finalists in such a prestigious competition is an amazing achievement. "The fact that one of our apprentices Harry Chadwick also won the regional heats, despite being one of the youngest apprentices to enter the competition, shows an amazing ability to work very efficiently to a very high standard. "It's these qualities that have enabled Harry and his four colleagues to set such a high UK standard, by winning the regional competition and getting through to the final against very experienced level 3 students." Organised by Semta, the WorldSkills UK Construction MetalWork competition aims to showcase the talent and skills of Advanced Metal Fabricators, while demonstrating competitors' ability to work safely and effectively on a test piece. This internationally respected standard of competition is hotly contested throughout the UK with highly skilled competitors representing a number of cutting edge businesses and training providers across the country. Themis at Burnley College were chosen as the hosts for the regional heat. Simon Jordan, Director of Themis said: "The success of the WEC Group and Themis' Apprentices is testament to the outstanding training programme WEC have developed."